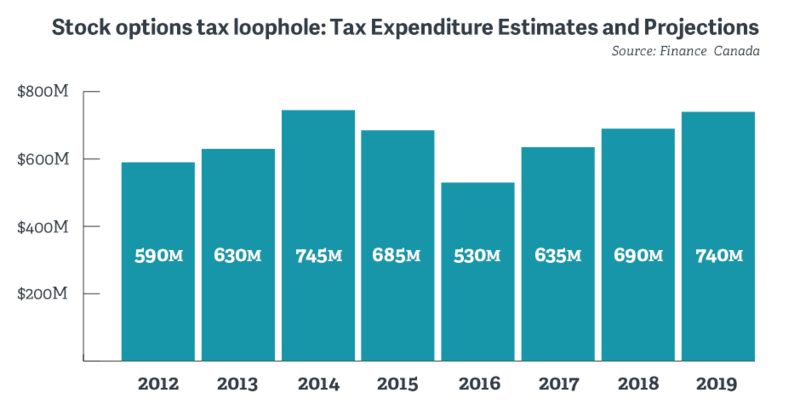 According to the department’s annual Federal Report on Tax Expenditures, the federal government is losing billions and billions of dollars through various loopholes that allow the rich to avoid paying their fair share of taxes. While 100% of the wages and salaries of Canadian workers are usually subject to tax, under current tax laws, Canada’s wealthy investor class plays by a whole different set of rules. For example, anyone who makes money on capital gains, typically the profit on selling things like stocks or real estate that is not your primary residence, only half that income is subject to tax. As a result, the rich are getting richer playing the stock market and flipping luxury real estate: research published in the Canadian Tax Journal in 2015 found 87% of all benefits from the capital gains loophole went to those making $200,000 or more. The latest data shows this loophole cost Canadians 6.9 billion in 2017, up one billion dollars from 5.9 billion in 2016. Finance Canada projects use of this loophole will continue to grow, rising to $7.07 billion by the end of this year. Another tax break for the rich, the dividend gross-up compensates stockholders for taxes paid by companies they’re invested in – although the logic of this special tax perk is especially questionable when you consider corporate tax rates have dropped to historic lows and many corporations are currently avoiding taxes. According to the latest tax data, 91% of the benefits of this loophole go to the richest 10% and more than half goes to the top 1%. 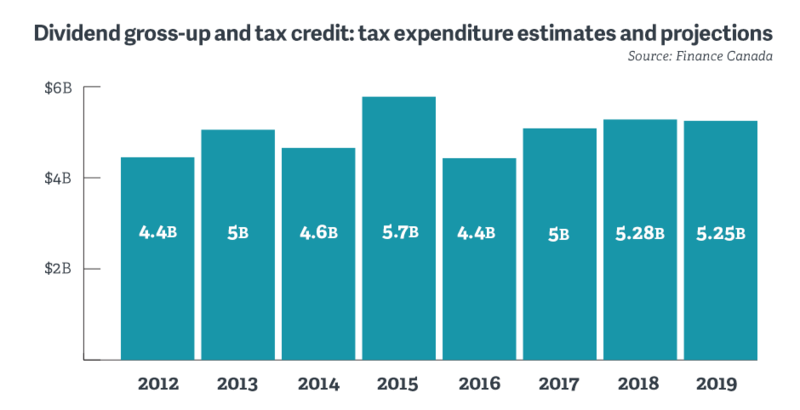 The new data shows Canada lost $5 billion in revenue through this loophole in 2017, up from $4.4 billion in 2016 – it’s estimated to rise to nearly $5.3 billion in 2018. The stock options tax loophole is notoriously exploited by corporate executives and directors who compensate themselves in stocks rather than income to take advantage of the lower tax rate – when employees exercise their stock options, only 50% of the total value of the stocks are subject to tax. Yet following the election, Finance Minister Bill Morneau announced the Liberal government was flip-flopping on their promise to close the stock options loophole. 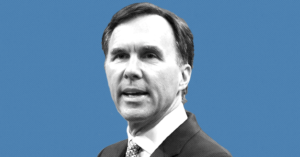 Despite Morneau’s claims that this was in response to feedback from small tech companies, internal documents obtained by PressProgress show Morneau was pressured to break the promise by Bay Street lobbyists. 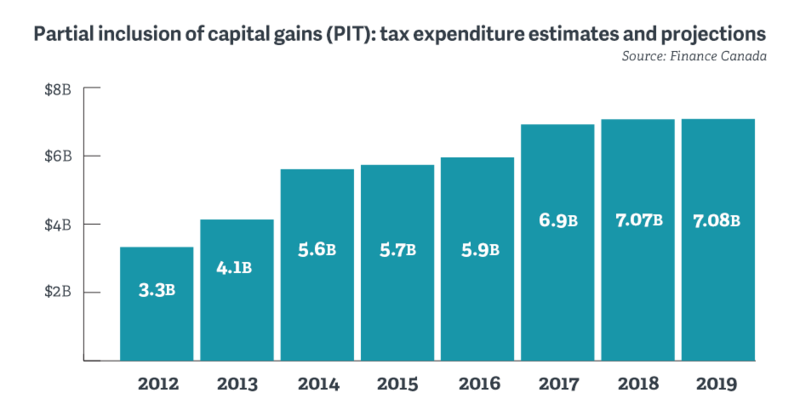 Despite claims the stock options loophole is “falling out of favour” with Canada’s captains of industry, the new data released by Finance Canada shows after a brief decline following the last election, use of stock options is bouncing back, rising from $530 million in 2016 to $635 million in 2017 – and it’s now expected to fully rebound to $740 million by 2019. Doug Ford Claims He Never Bashed a Home for Kids with Autism. This Video Proves He Did. 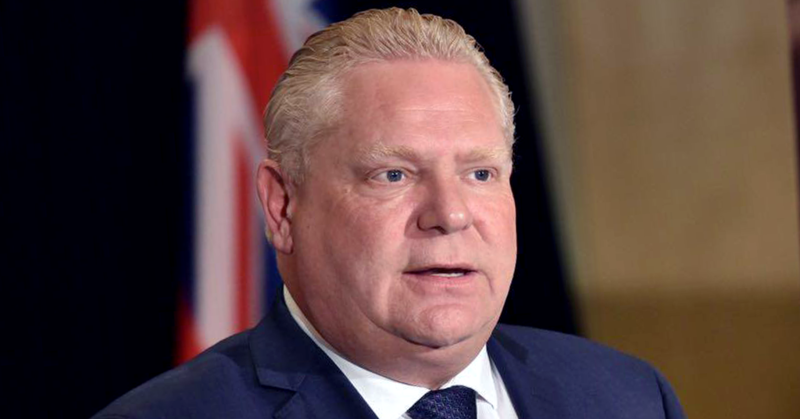 At a campaign stop this weekend, Ontario PC leader Doug Ford denied making controversial comments about a home for youth with autism in 2014. Despite previously declaring that the home for kids with autism and developmental disabilities is an “absolute nightmare” that has “ruined the community” as well as calling for it to be shut down and relocated, Ford was unequivocal when asked about his controversial comments this weekend.